Planning your August 2020 Florida holiday? Flights are better value towards the end of the school holidays. This particular offer is based on departures on or after the 22nd August. 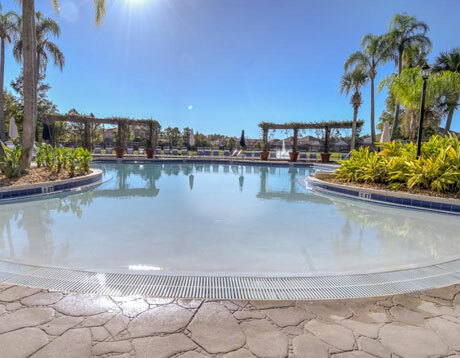 This August 2020 Florida holiday includes Virgin flights, two weeks in a comfortable Terra Verde Townhouse and Platinum-insured vehicle hire. The price is based on a group of 4 adults and 4 children. If your August 2020 Florida holiday requirements are different, let us know. We can combine any Florida flights, accommodation or vehicle hire. Virgin fly more or less daily from Gatwick and Manchester and at weekends from Glasgow. If you need a connecting flight from your local airport, let us know. Depart Belfast, Aberdeen, Newquay, Jersey or Isle of Man for a small supplement. Our August 2020 Florida holiday includes van hire or two midsize SUVs. Vehicles are drop-off and pick-up at the airport. If you have a preference for a particular vehicle, let us know. We deal with all of the major car-hire companies. 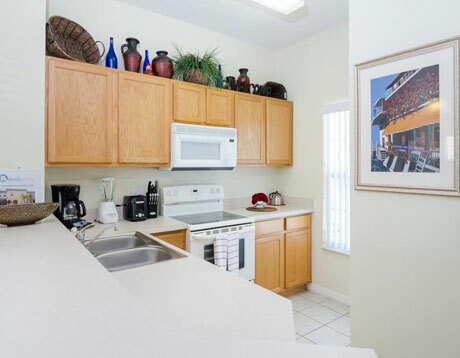 Terra Verde is a beautiful gated community in Kissimmee just 7 miles from Disney. 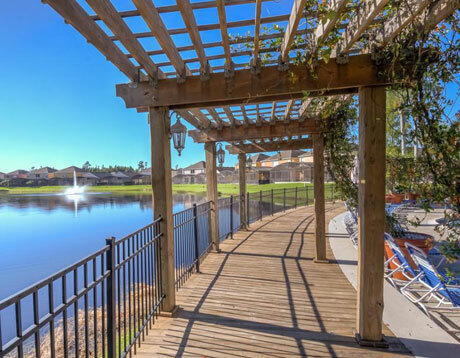 Set around a stunning 3-acre lake, many of the villas and townhouses back onto Florida conservation areas. Amenities include an exclusive clubhouse, Tiki Bar, pool, bar/lounge, fitness centre with gym and more. If you fancy a bit of fishing, the lake is well-stocked. Children will enjoy the pool and communal play areas. 24-hour security on the gate provides reassurance. 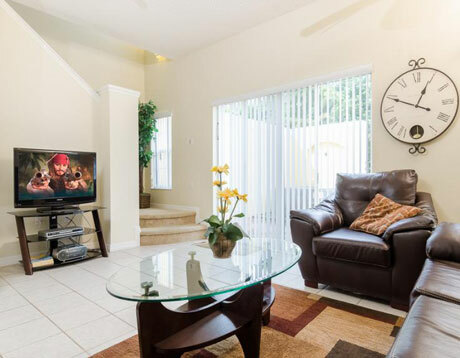 This August 2020 Florida holiday includes a 4-bedroom / 3-bathroom townhouse. 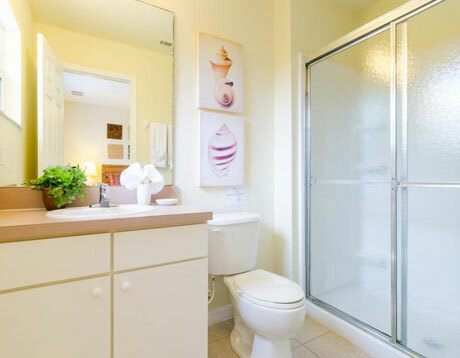 The two master bedrooms each have en-suite bathrooms. Facilities include Wi-Fi, television, full kitchen and utility room. Read more about Terra Verde on TripAdvisor - there are hundreds of good reviews. Prefer to stay elsewhere? Let us know your requirements on an enquiry form. We’ll send you a tailored quote by email. 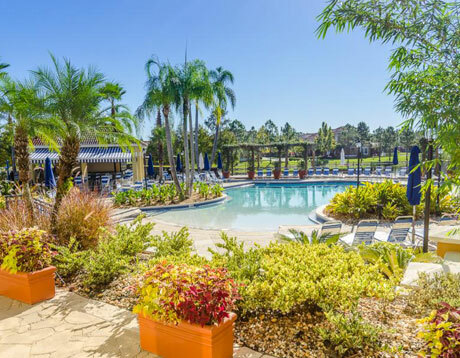 This August 2020 Florida holiday includes Virgin flights to Orlando, a fortnight in a Terra Verde townhouse and fully-insured car hire. Packages start at £975 based on a family of 4 adults and 4 children. Advance book with a deposit of £100 per person. Balances are due 90 days before travel. The best villas and townhouses sell out quickly so contact us now for first choice. Call Alex on 01934 319 851 or complete our enquiry form. All of our holidays are ABTA and ATOL protected. If Terra Verde doesn't appeal, take a look at our August 2020 Florida flights page. It's a great starting point for planning your August 2020 Florida holiday. Discover the best travel dates and departure airports. Advance book your flights now. Enjoy a fortnight at the retro-styled Cabana Bay Beach Resort - Universal's newest hotel. Children will love the pools, lazy river, water slide and bowling alley. The 50s-style diners are great for both young and old. 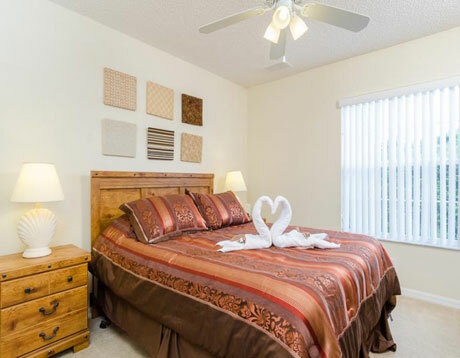 Walk to the nearby theme parks or take the complimentary shuttle buses. ATOL and ABTA protected. Book on deposit.